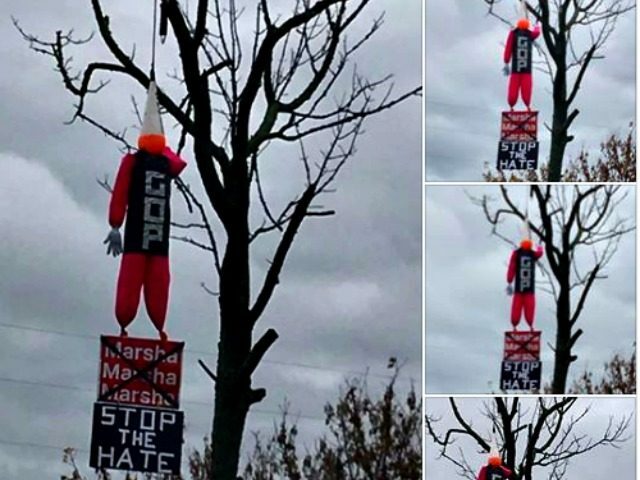 Tennessee voters were outraged when they discovered a dummy wearing a GOP shirt, a dunce cap, and a sign with U.S. Senate candidate Rep. Marsha Blackburn’s (R-TN) name crossed out hanging from a tree. The display hung at an intersection in Shelbyville not too far from Liberty Elementary School, according to Still’s post. Neighbors in the area were appalled at what they saw, especially since the figure was placed close to an elementary school. “I didn’t want the children or the school to have to see that type of thing,” neighbor Bill Grimes, who lives a mile away from the dummy’s location, told WZTV. The owners of the land where the anti-Republican display was installed are not residents of the area, telling WZTV they have no idea who placed the display there. Still says the anti-Republican display has cropped up before in past election cycles for different candidates. “It happened in the Romney/Ryan election. They had him hanging in the tree covered in red paint and signs on there with slashes through it, that kind of thing. 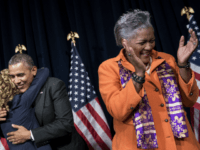 And then Trump, we had the same thing hanging there,” Still said. The latest polls show Blackburn with a five-point lead over Democrat candidate Phil Bresden, who served as Tennessee’s governor for two terms.